FRIDAY, NOV. 3, 2017, 8:00 p.m.
On Friday, November 3, the Shannon Gunn Sextet will thrill audiences at the Montpelier Arts Center, in Laurel, Maryland with intriguing originals and fresh renditions of jazz standards. Hailed by Washington City Paper as “D.C.’s Best Trombonist, 2015,” Gunn is one of the region’s most prominent jazz artists and leader of the all-woman big band, Shannon Gunn and the Bullettes. A Virginia resident and graduate of the George Mason University Masters in Jazz Studies program, Shannon Gunn is the Tuesday night artist-in-residence at Columbia Station in Adams Morgan. There she leads the Firebird Organ Trio, named “DC’s Best Small Ensemble 2016” by the Washington City Paper. 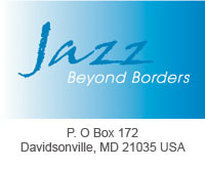 In addition to their yearly performance at the Washington Women in Jazz Festival, Shannon Gunn and the Bullettes and her smaller ensembles have performed at the Kennedy Center, Castleton Theatre House, the D.C. Jazz Festival, Twins Jazz, Bohemian Caverns, Bethesda Blues & Jazz and other well-known venues. The Montpelier performance celebrates the release of her latest album, What It Takes. CD and program include the album title track, written by Gunn in tribute to the tact, grace, and integrity shown by former President Barack Obama. The piece reflects her exploration of free jazz expression. Another politically inspired tune is “Aardvark,” which rebels against the notion of the tritone (an interval of three adjacent whole tones) as “the devil’s interval.” The tune “In Walked Allyn,” is dedicated to the composer’s husband. The sextet includes other highly accomplished artists with impressive performance histories: Jamie Baum on flute, Sarah Hughes on alto sax, Miki Yamanaka on piano, and Karine Chapdelaine on bass. Up-and-coming drummer Allen Jones is also featured. New York City flutist, composer, recording artist and clinician Jamie Baum has toured the U.S. and over 30 countries performing at major festivals and concert halls. She has played with renowned artists George Russell, Randy Brecker, Kenny Barron, Fred Hersch and Anthony Braxton. She has received numerous awards from entities such as Downbeat (named in the Downbeat Critics Polls annually since 1998), Jazz Times, NPR Critics Poll, and Jazz Journalists Association, and won praise for her recordings. In 2014 she received a Guggenheim Foundation Fellowship for composition. She toured in the Department of State - Kennedy Center Jazz Ambassador program from 1999 to 2003 and in several DOS international tours. She also leads the Jamie Baum Septet. Canadian bassist Karine Chapdelaine is a Fairfax County strings teacher and busy freelancer. In 2011, she was awarded “Outstanding Performance in Jazz at the College Graduate Level” by Downbeat Magazine. As a member of the world-renowned McGill University Jazz Orchestra, she performed in New York City and Mexico. Her career has taken her all over the world and given her the chance to work with jazz greats Bobby McFerrin, McCoy Tyner and Paquito D’Rivera as well as Mary Halvorson, Allison Miller and the Washington Ballet. New York based pianist/composer Miki Yamanaka is from Japan. She moved to N.Y. in 2012 to study English and music. In 2015, she was chosen as one of three pianists to participate in “Betty Carter's Jazz Ahead,” an intensive composition and performance residency at the Kennedy Center. She graduated from Queens College in 2015 with a master’s degree in music performance. She has shared the stage with musicians such as Victor Lewis, Steve Nelson, Jonathan Blake, Rodney Green, Peter Bernstein, Vincent Herring and Rich Perry. She performs regularly in New York’s finest jazz venues: Smalls, Mezzrow, Fat Cat, Showman’s and Dizzy’s Club Coca Cola are among them. She plays piano in the Philip Harper Quintet. The youngest sextet member is drummer Allen Jones. Jones graduated from the prestigious Duke Ellington School for the Performing Arts, where he had the opportunity to play with Wallace Roney, Sean Jones, and Kevin Eubanks. He has since played with Louis Faife, Thad Wilson and Fred Foss, and led his own group with Tarus Mateen and Colin Chambers. He recently debuted his experimental jazz group, Nag Champa Art Ensemble, at the Kennedy Center Millennium Stage as part of a tribute to Yasiin Bey (AKA Mos Def). The concert is part of the Montpelier Arts Center’s fall Friday night jazz series. Located on the grounds of historic Montpelier Mansion, the multi-arts facility is part of the Prince George’s County Department of Parks and Recreation. The facility hosts concerts of jazz, folk, blues and classical music along with classes and workshops. The address is 9652 Muirkirk Road, Laurel, MD 20708. Tickets are $25 with member and senior discounts). Call 301-377-7800, visit instantseats.com or visit arts.pgparks.com.